We know what it's like to be exhausted. So we offer a variety of packages to help your family get the sleep it needs. Baby Sleep 101 offers a variety of sleep consultation packages with varying levels of follow up support and communication methods. Whether it be email, phone or face to face, we have something for you! If you are looking for an answer to a quick question or are wanting more long term support, we can help get you and your family on the path to better sleep. All packages (excluding the Prenatal/New Parent) have follow up support as this is vital for success and seeing results! For former clients of Baby Sleep 101 to help tweak routines as their child grows, or for parents who have a solid understanding of their child’s sleep needs, but want to chat with an expert to get answers to their specific questions. Click here for a la carte options. A thorough guide book with specific and age-appropriate strategies to help you make sense of your newborn’s sleep, including wake times, sleep cycles, and more. Put a stop to the uncertainty and anxiety of “is this normal?” and relax because you’ll know what to expect. Peace of mind and at ease about your child’s sleep isn’t just a dream — it’s a reality! And I can help you get there. 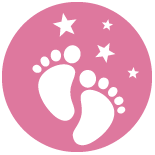 Baby Sleep 101 Consultations are individualized sessions where I work with you to help you and your child get a good night sleep. Getting your toddler or preschooler to sleep well is totally and completely possible. Baby Sleep 101 Consultations are individualized programs where I work with you to help you and your toddler or preschooler get a good night sleep. If you are unsure which package is right for you, please visit our Frequently Asked Questions page for more details or feel free to contact us for further help.